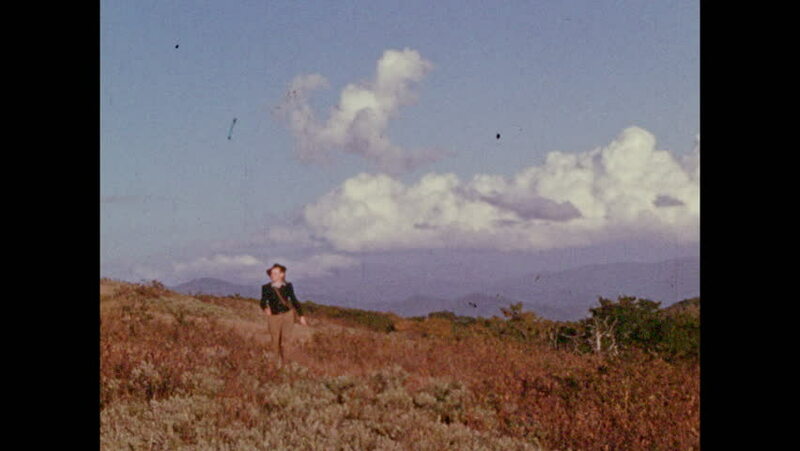 1940s: Woman in hat walks across meadow in hills. Woman walks through short brush. 4k00:24Aerial circling around solo climber celebrating on the top at sunset.